I like reading epic historical fiction and Having read both The Pillars of the Earth and World Without End, I would like to read The continuing saga of Kingsbridge with Ken Follett’s magnificent, gripping new novel A Column of Fire. It begins during Christmas 1558, and sees young Ned Willard returning home to Kingsbridge to find his world has changed. The ancient stones of Kingsbridge Cathedral look down on a city torn by religious hatred. Europe is in turmoil as high principles clash bloodily with friendship, loyalty and love, and Ned soon finds himself on the opposite side from the girl he longs to marry, Margery Fitzgerald. Then Elizabeth Tudor becomes queen and all of Europe turns against England. The shrewd, determined young monarch sets up the country’s first secret service to give her early warning of assassination plots, rebellions and invasion plans. Elizabeth knows that alluring, headstrong Mary Queen of Scots lies in wait in Paris. Part of a brutally ambitious French family, Mary has been proclaimed the rightful ruler of England, with her own supporters scheming to get rid of the new queen. Over a turbulent half-century, the love between Ned and Margery seems doomed, as extremism sparks violence from Edinburgh to Geneva. With Elizabeth clinging precariously to her throne and her principles, protected by a small, dedicated group of resourceful spies and courageous secret agents, it becomes clear that the real enemies – then as now – are not the rival religions. The true battle pitches those who believe in tolerance and compromise against the tyrants who would impose their ideas on everyone else – no matter the cost. 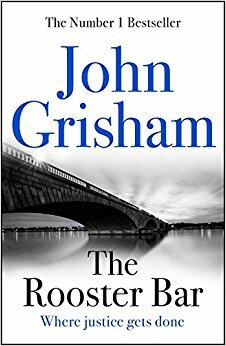 I would like to read The Rooster Bar the latest exciting legal Thriller by John Grisham. The novel was inspired by an article of investigative journalism about student lending in the US. It features Law students named Mark, Todd and Zola who wanted to change the world – to make it a better place. But these days these three disillusioned friends spend a lot of time hanging out in The Rooster Bar, the place where Todd serves drinks. As third-year students, they realise they have been duped. They all borrowed heavily to attend a law school so mediocre that its graduates rarely pass the bar exam, let alone get good jobs. They then learn that their school is one of a chain owned by a shady New York hedge-fund operator who also happens to own a bank specialising in student loans, and the three of them realise they have been caught up in The Great Law School Scam. So they begin plotting a way out. Maybe there’s a way to escape their crushing debt, expose the bank and the scam, and make a few bucks in the process. But to do so, they have to leave law school, pretend they are qualified and go into battle with a billionaire and the FBI . .
Having read The Target, The Hit, The Innocent, The Guilty, Memory Man, No Man’s Land and The Last Mile, I would like to read The Fix by David Baldacci. This Exciting crime fiction novel is the latest release by David Baldacci and features Amos Decker, a special agent, who suffered a head injury that resulted in giving him the gift of a remarkable memory. The novel concerns a chap named Walter Dabney, a family man. A loving husband and the father of four grown daughters , he’s built a life many would be proud of But then the unthinkable happens. While Standing outside the FBI Headquarters in Washington, D C, Dabney shoots school teacher Anne Berkshire in cold blood before turning the gun on himself. One of the many witnesses is Amos Decker; a man who forgets nothing and sees what most miss. I would also like to read End Game by David Baldacci. End Game is The final book in the Will Robie Series by David Baldacci. This exciting crime fiction novel features CIA assassins Will Robie and Jessica Reel. Will Robie, Is the US government’s most indispensable asset, and is called to London to prevent An imminent terrorist attack which threatens the London Underground, and Robie is the perfect choice to stop it before it begins. However while returning from his previous mission overseas he discovers that his boss – codenamed Blue Man – has vanished. His last known location was in remote Colorado, and there have been no other sightings or communications since. 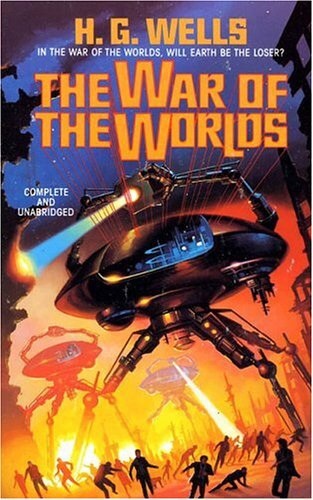 Meanwhile there is violence brewing and Robie will be lucky if he makes it out alive, with or without Blue Man and he knows he has one chance to succeed. One chance to save lives. One chance to make it home safely to find out what has happened to fellow agent Jessica Reel following their last deadly mission together and soon realises that this could be his most challenging mission yet and that the next few hours could possibly be his last ones on earth. Originally, the term orthopedics meant the correcting of musculoskeletal deformities in children. Nicolas Andry, a French professor at the University of Paris coined the term in the first textbook written on the subject in 1741. He advocated the use of exercise, manipulation and splinting to treat deformities in children. His book was directed towards parents, and while some topics would be familiar to orthopedists today, it also included ‘excessive sweating of the palms’ and freckles. Before this during the Middle Ages anybody injured during battle was treated with bandages soaked in horses’ blood which dried to form a stiff, but unsanitary, splint. Jean-André Venel established the first orthopedic institute in 1780, which was the first hospital dedicated to the treatment of children’s skeletal deformities. He developed the club-foot shoe for children born with foot deformities and various methods to treat curvature of the spine. Advances made in surgical technique during the 18th century, such as John Hunter’s research on tendon healing and Percival Pott’s work on spinal deformity steadily increased the range of new methods available for effective treatment. Antonius Mathijsen, a Dutch military surgeon, invented the plaster of Paris cast in 1851. However, up until the 1890s, orthopedics was still a study limited to the correction of deformity in children. One of the first surgical procedures developed was percutaneous tenotomy. This involved cutting a tendon, originally the Achilles tendon, to help treat deformities alongside bracing and exercises. In the late 1800s and first decades of the 1900s, there was significant controversy about whether orthopedics should include surgical procedures at all. Examples of people who aided the development of modern orthopedic surgery were Hugh Owen Thomas, a surgeon from Wales, and his nephew, Robert Jones. Thomas became interested in orthopedics and bone-setting at a young age and, after establishing his own practice, went on to expand the field into general treatment of fracture and other musculoskeletal problems. He advocated enforced rest as the best remedy for fractures and tuberculosis and created the so-called ‘Thomas Splint’, to stabilize a fractured femur and prevent infection. He is also responsible for numerous other medical innovations that all carry his name: ‘Thomas’s collar’ to treat tuberculosis of the cervical spine, ‘Thomas’s manoeuvre’, an orthopedic investigation for fracture of the hip joint, Thomas test, a method of detecting hip deformity by having the patient lying flat in bed, ‘Thomas’s wrench’ for reducing fractures, as well as an osteoclast to break and reset bones. Many advances in orthopedic surgery have also occurred during wartime and it was only during the First World War that Thomas’s techniques came to be used for injured soldiers on the battlefield. His nephew, Sir Robert Jones, also made great advances in orthopedics in his position as Surgeon-Superintendent for the construction of the Manchester Ship Canal in 1888. He was responsible for the injured among the 20,000 workers, and he organized the first comprehensive accident service in the world, dividing the 36 mile site into 3 sections, and establishing a hospital and a string of first aid posts in each section. He had the medical personnel trained in fracture management. He personally managed 3,000 cases and performed 300 operations in his own hospital. This position enabled him to learn new techniques and improve the standard of fracture management. Physicians from around the world came to Jones’ clinic to learn his techniques. Along with Alfred Tubby, Jones founded the British Orthopaedic Society in 1894. During the First World War, Jones served as a Territorial Army surgeon. He observed that treatment of fractures both at the front and in hospitals at home was inadequate, and his efforts led to the introduction of military orthopedic hospitals. He was appointed Inspector of Military Orthopaedics, with responsibility over 30,000 beds. The hospital in Ducane Road, Hammersmith became the model for both British and American military orthopedic hospitals. His advocacy of the use of Thomas splint for the initial treatment of femoral fractures reduced mortality of compound fractures of the femur from 87% to less than 8% in the period from 1916 to 1918. The use of intramedullary rods to treat fractures of the femur and tibia was pioneered by Gerhard Küntscher of Germany. This made a noticeable difference to the speed of recovery of injured German soldiers during World War II and led to more widespread adoption of intramedullary fixation of fractures in the rest of the world. However, traction was the standard method of treating thigh bone fractures until the late 1970s when the Harborview Medical Center in Seattle group popularized intramedullary fixation without opening up the fracture. The modern total hip replacement was pioneered by Sir John Charnley, expert in tribology at Wrightington Hospital, England in the 1960s. He found that joint surfaces could be replaced by implants cemented to the bone. His design consisted of a stainless steel one-piece femoral stem and head and a polyethylene, acetabular component, both of which were fixed to the bone using PMMA (acrylic) bone cement. For over two decades, the Charnley Low Friction Arthroplasty and its derivative designs were the most-used systems in the world. This formed the basis for all modern hip implants. The Exeter hip replacement system (with a slightly different stem geometry) was developed at the same time. Since Charnley, there have been continuous improvements in the design and technique of joint replacement (arthroplasty) with many contributors, including W. H. Harris, the son of R. I. Harris, whose team at Harvard pioneered uncemented arthroplasty techniques with the bone bonding directly to the implant. Knee replacements using similar technology were started by McIntosh in rheumatoid arthritis patients and later by Gunston and Marmor for osteoarthritis in the 1970s developed by Dr. John Insall in New York utilizing a fixed bearing system, and by Dr. Frederick Buechel and Dr. Michael Pappas utilizing a mobile bearing system. External fixation of fractures was refined by American surgeons during the Vietnam War but a major contribution was made by Gavril Abramovich Ilizarov in the USSR. He was sent, without much orthopedic training, to look after injured Russian soldiers in Siberia in the 1950s. With no equipment he was confronted with crippling conditions of unhealed, infected, and malaligned fractures. With the help of the local bicycle shop he devised ring external fixators tensioned like the spokes of a bicycle. With this equipment he achieved healing, realignment and lengthening to a degree unheard of elsewhere. His Ilizarov apparatus is still used today as one of the distraction osteogenesis methods. Modern orthopedic surgery and musculoskeletal research has sought to make surgery less invasive and to make implanted components better and more durable. Mischief Night tends to include popular tricks such as toilet papering yards and buildings, powder-bombing and egging cars, people, and homes, using soap to write on windows, “forking” yards, setting off fireworks, and smashing pumpkins and jack-o’-lanterns. Local grocery stores often refuse to sell eggs to pre-teens and teens around the time of Halloween for this reason. Occasionally, the damage can escalate to include the spray-painting of buildings and homes. Less destructive is the prank known as “Knock, Knock, Ginger,” “Ding-Dong Ditch,” “knock down ginger,” or “knock-a-door-run and nicky-nicky-nine-doors (West Quebec). In some areas of Queens, New York, Cabbage Night has included throwing rotten fruit at neighbors, cars, and buses. Pre-teens and teens filled eggs with Neet and Nair and throw them at unsuspecting individuals. In the mid-1980s, garbage was set on fire and cemeteries were set ablaze. In Camden, New Jersey, Mischief Night escalated to the point that in the 1990s widespread arson was committed, with over 130 arsons on the night of October 30, 1991. In Detroit, Michigan, which was particularly hard-hit by Devil’s Night arson and vandalism throughout the 1980s, many citizens take it upon themselves to patrol the streets to deter arsonists and those who may break the law. This is known as “Angels’ Night”. Some 40,000 volunteer citizens patrol the city on Angels’ Night, which usually runs October 29 through October 31, around the time most Halloween festivities are taking place.